Cash is a highly liquid asset. Hence, the probability of committing frauds and errors is certainly more in cash transactions. Therefore, we have to verify cash transactions with utmost care. 3. Testing the adherence to standard accounting practice and accounting principles. 1. that all receipts are accounted for and all payments are authenticated and relate to goods and services received for the purpose of running the business. 2. that the persons vested with financial powers, exercise their powers only under the circumstances in which they are authorized to do so. 3. that the supervision of the execution and accounting of cash transactions are adequate and effective. 4. that in order to avoid fraud and pilferage, mechanical aids are used for accounting the receipts and payments wherever necessary. 5. that the system of internal check is reliable and properly adhered to. 6. that the balance of cash, stamps, stamp-papers etc., is physically verified periodically and suitable action taken in case of discrepancies. 7. that the book balances are reconciled at regular intervals. 8. that the internal control is revised periodically and suitable modification done if necessary to make it more effective. By suppressing the receipt of cash and by over-statement of payments, fraud can be committed. 1. Adjusting the customer’s account with allowances and rebates not actually allowed by the organization and misappropriating the money collected from the customers to the extent of the adjustment. 2. Not accounting the money collected from the customer and treating that account as bad and writing it off. 3. Omitting to record the miscellaneous receipts such as sale of scrap, etc. 4. Omitting to account a part of Cash Sales. 5. Teeming and lading: In this method, the accounting of receipts is delayed. Cash received from one debtor (say A) is not recorded and the amount is misappropriated. When cash is collected from another debtor, (say B) that amount is adjusted against A’s account. Subsequently, amount collected from debtor C is adjusted against B’s account and so on. In this way, no one customer will be kept outstanding for a longer period to arise suspicion. 1. Fictitious vouchers are created to support payments which were never made but recorded in the books of accounts as if payments were made. 2. Payments may be made against real vouchers but while recording, the amount is inflated. For example, payment made for Rs 150 is recorded as if made for Rs. 1,500. 3. Inclusion of dummy workers in the payroll or wrong totaling of payments lists. The accounting system should be on accrual basis. Payments towards outstanding liabilities and prepaid expenses should be properly accounted. The accounting entries should be verified against the supporting documentary evidences. 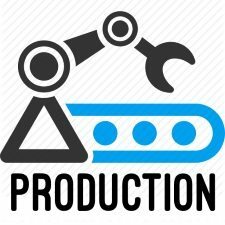 The evidences may be internal, which are generated and maintained by the organization or external, which are obtained from outside the organization. Counterfoils of receipts, payroll, etc., are internal documents. Purchase invoice, bank statement, loan agreement etc., are external evidence. 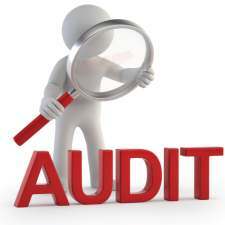 The auditor should carefully evaluate the available evidence. If the existing internal control system is effective, the internal evidence can be relied upon by the auditor. 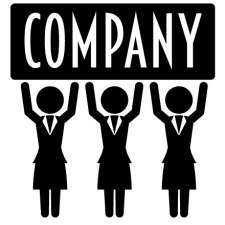 The agreements between the organization and the third party. The Articles of Association, partnership deed, trust deed, etc. The Minutes of the Board of directors. Legal requirements related to the business transactions. 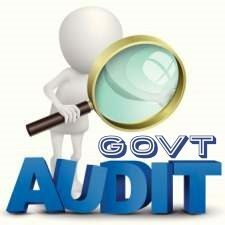 The auditor should verify whether the transactions are duly authorized. In the case of a company, the auditor should carefully scrutinize the transaction to find out that the company is functioning within its powers.i.e., he should ensure that no transaction is ultra vires. 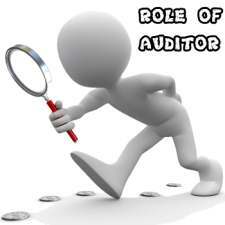 It is the responsibility of the auditor to detect the transaction that are ultra vires the company. He should possess a thorough knowledge of the legal requirements regarding the recording and maintenance of the books of accounts of the organization under audit. The auditor should ensure that the income and expenditure classification and grouping of assets and liabilities are not misleading. He should also ensure that all material facts are disclosed so that the user of the financial statements is not misled. Presenting the balance sheet in such a manner so as to the financial position of the organization appear better than the actual position is called window dressing. Window dressing is a form of misinterpretation of the financial status of the company. The following are some methods of window dressing. 1. The cash receipt of the subsequent period is included in the current year and thereby the income as well as the closing cash balance are inflated. 2. ‘Goods in transit’ is shown as sales. 3. Current year purchase is not accounted in the current year but in the subsequent year. 4. 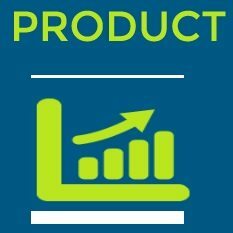 Revenue expenses are treated as capital expenditure. 5. Inadequate provision for liabilities and depreciation. 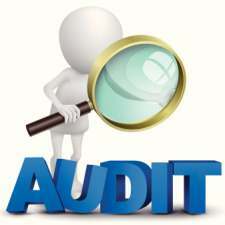 The auditor should ensure that the material facts are disclosed appropriately and the income and expenditure and assets and liabilities are properly presented.